Raver savers - Let Raver Savers be your saviours! Let your Raver Savers be your saviours! Welcome to Raversavers, For all ravers out there who stand proud at the beginning of the night in their fabulous killer heels only to walk out like an ostrich on a volcano. If this sounds like you or someone you know, you are in the right place! 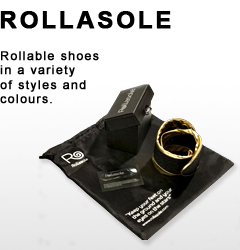 Folding shoes are this season’s ‘must have’ gift. 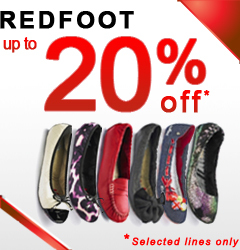 We have shoes from Redfoot, Rollasole and Tipsy feet. They make a fabulous gift for any party animals you know or anyone who regularly wears heels. You will be gratefully remembered at the end of every night out when one of these beauties’ are pulled out of a handbag because of your wonderful gift idea. Folding shoes are a girl’s best after-party or heels, friend. 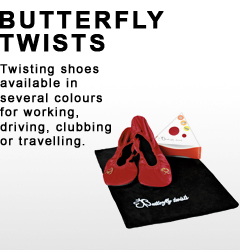 These nifty little comfy and practical portable shoes can be folded, twisted or rolled-up and popped into your handbag. When you feet start to feel the heat, do a quick shoe swap and extinguish the flames. You will be the envy of every girl about to embark home on their 4inch+ heel firework displays. 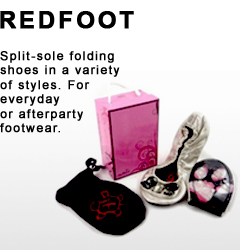 Raver savers have a collection of foldable and rollable shoes both for everyday wear and after-party glitz . Browse through this website and search via merchant, category or brand to find the best prices, special offers/vouchers, styles or vendors to suit your needs. So what are you waiting for? Search for the product you want, compare the prices, find that special brand or design and save a sole today!